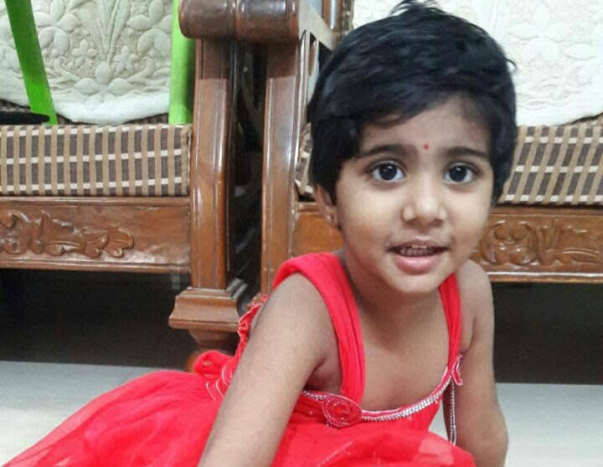 Sandhiya is 3 years old. When Santosh and Bharathi talk about their daughter, they gush about her antics, the way she makes people laugh with her constant chattering, and how playful yet precocious she can be. Within 10 days, her demeanor completely changed. 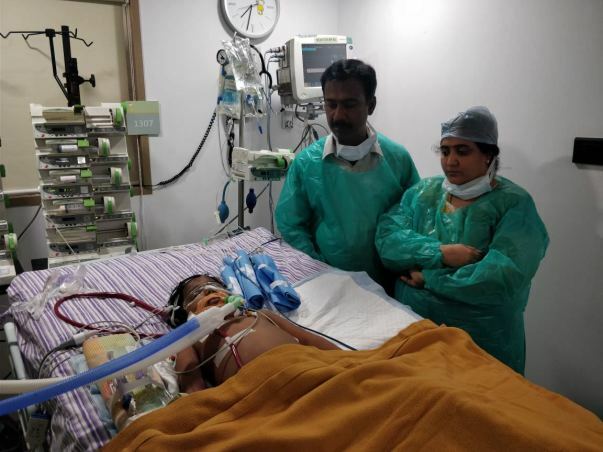 What started off as a cold has left Sandhiya hooked to artificial lungs and heart machine, fighting to survive with every breath. 21st December. It was like any other winter morning. Santosh’s 6-year-old son was running around the house with Sandhiya. She kept coughing. Bharathi realized that her daughter may have caught a cold. She tucked her into bed after lunch. Eventually, the cough and fever got worse until she began struggling for every breath. Sandhiya was sedated and hooked to the ECMO. The machine is keeping her alive while her lungs recover from the severe damage. Since she needed high doses for antibiotics to fight pneumonia, Sandhiya also needed to be on dialysis. 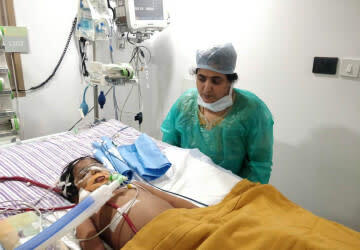 Santosh has not left his daughter’s bedside. He is praying for a miracle to save her life and bring her back to good health. 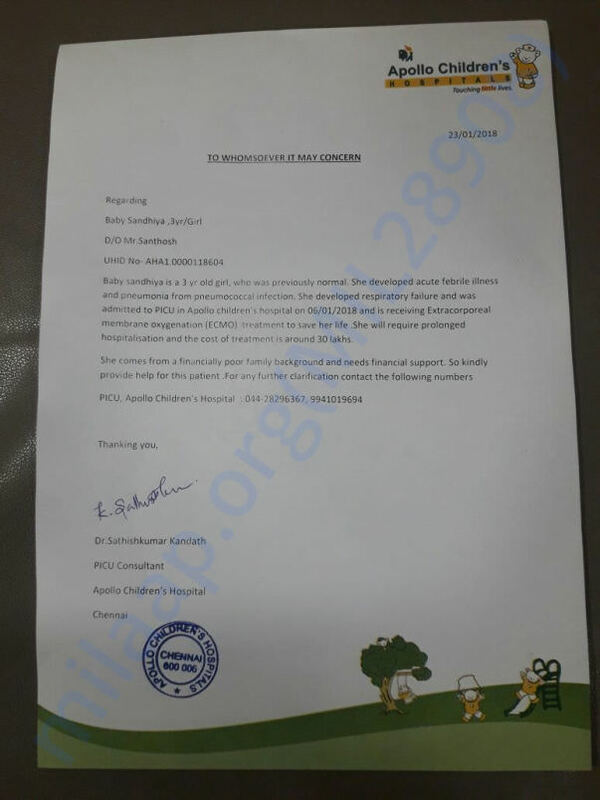 This father has appealed to all his friends, to help manage the medical expenses. With just Rs. 12000 income, Santosh is unable to pay a bill that has mounted up to Rs. 20 Lakhs. Santosh and Bharathi are at a loss trying to find a way to save their daughter. They are unable to afford the treatment that is saving Sandhiya’s life. 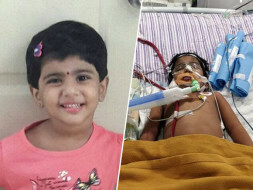 She is 3 years old and breathing on artificial lungs. 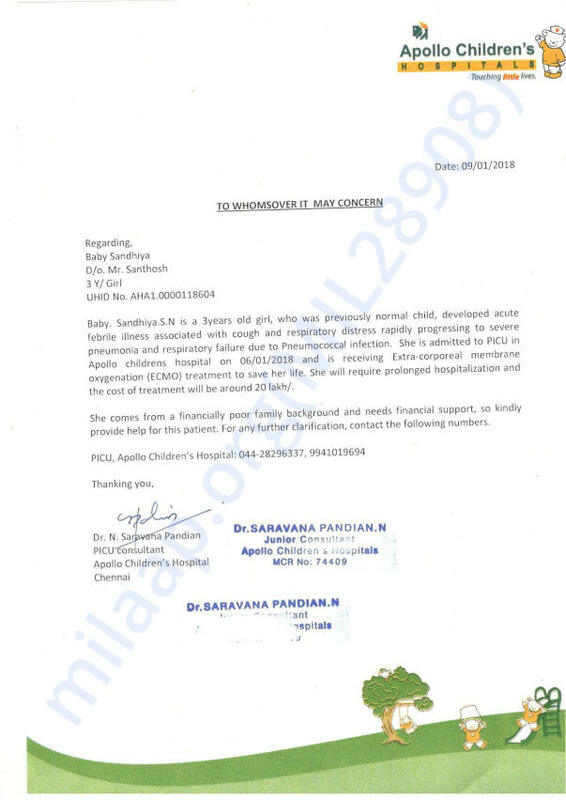 Your contribution can save this little girl’s life and rid her of this pain.